Cinema view from Laura Poitras: 9/11 Trilogy. Artists Space, 2014. Photo: Daniel Pérez. In Laura Poitras’ Academy award nominated film CITIZENFOUR (2014), Edward Snowden debates the purpose and timing of full disclosure, including his identity as whistleblower. “I don’t want this to be a WHO story,” he emphasized, adding that the media’s concern with personality would detract from the revelation of extensive global intercepts of communication by the NSA. On June 5, 2013, Glenn Greenwald published in The Guardian the first of a series of disclosures that very quickly laid bare the extent and nature of domestic and global surveillance currently being conducted by the NSA under the auspices of the Obama administration. There are precedents to this act including Daniel Ellsberg’s 1971 leak of the Pentagon Papers reported by The New York Times and the 2010 release by WikiLeaks of tens of thousands of secret documents concerning the wars in Afghanistan and Iraq. What distinguishes Greenwald’s disclosure is that his source initially revealed not data per se but the system by which massive amounts of data are collected and archived – a system that can potentially create a narrative about each and every citizen of the United States. What Snowden saw in his work as a system’s analyst had less to do with the information collected as with the over-arching capacity for oppression by means of the system itself. CITIZENFOUR, cropped film still provided by The Guardian Newspaper. 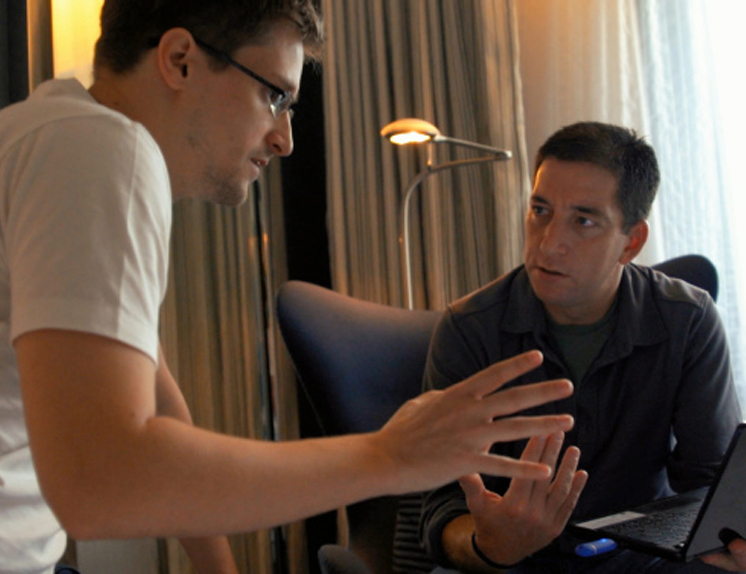 Courtesy AP Photo/The Guardian, Glenn Greenwald and Laura Poitras. If one were to visualize the complex networks established by metadata, the interconnectivity implied by the flap of a butterfly’s wings in Brazil, which sets off a tornado in Texas – metaphor for the deterministic conditions of random events – would no longer seem such a coincidence. What we say and how we say it matters – from the prisoner under interrogation to the whistleblower exposing corruption to the filmmaker making sense of what lies beyond normal vision – and it takes tremendous courage to speak openly and of one’s own free will. That is the meeting point between Laura Poitras, Glenn Greenwald, and Edward Snowden: not only the will, but the capability to speak truth to power. My own intersection with this topic lies perhaps between the filmmaker’s trajectory from art to documentary and mine from documentary to art. And though I developed a degree of skepticism in relation to the efficacy of documentary’s ability to influence discourse, my criticism lies less with its potential as with its distribution and media context. “I go to places before they become news. I don’t follow the pack and I don’t look in the same direction as others,” the filmmaker said recently at a talk with Bettina Funcke at Artists Space. And, here the meeting place of Artists Space is significant because they have provided a unique opportunity to place CITIZENFOUR within the context of Poitras’ 9/11 Trilogy that renders transparent her interest in the story beside the story, that is, outside mainstream attention. The experience is riveting and eye-opening. My Country, My Country (2006) focuses on Dr. Riyadh al-Adhadh, a Sunni electoral candidate in the 2005 Iraqi elections in Baghdad, while The Oath (2010) is a portrait of Abu Jandal, a taxi-driver in Sana’a, Yemen, who had previously served as bodyguard to Osama bin Laden; both were created as individual films but by the time Poitras began editing CITIZENFOUR, it was apparent that all three were part of a larger discussion on the real life implications of a security state. Each film initiates from a position of uncertainty – the unscripted reality of unraveling events – but then Poitras allows for a story to unfold; her only interference: that of discrete witness. She neither stages nor determines action and, since she worked without an interpreter in Iraq, she was often unaware of the import of some of the scenes she filmed until later in the editing room. Deeply attentive to the demands of real time filming, she leaves room for doubt and ambiguity, but ultimately trusts in the power of reality to reveal its own truths, if only given the chance. CITIZENFOUR, film still provided by The Guardian Newspaper. Courtesy AP Photo/The Guardian, Glenn Greenwald and Laura Poitras. 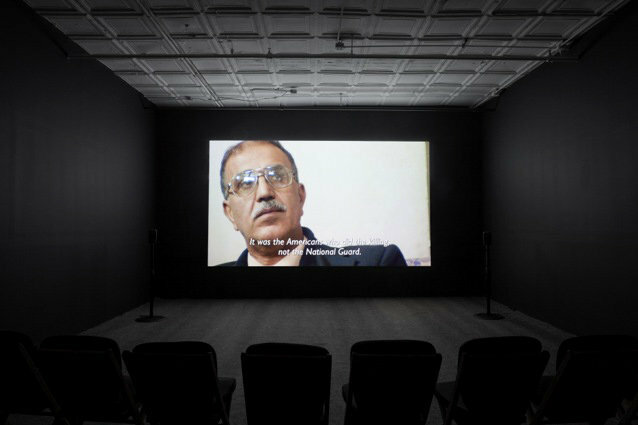 Georges Didi-Huberman suggests that, in relation to images, we should “ask ourselves the question of how it gazes (at us), how it thinks (us) and how it touches (us) at the same time.”[i] The issue of trust is important here, and though Edward Snowden is wary of Poitras’ film being about him, it is the trust Snowden places in Poitras and Greenwald (he told no one else of his decision, including his partner of ten years) as well as the trust he elicits that is for me the single-most important take-away of the film. Together, what they have successfully accomplished is to pre-empt any effort on the part of the NSA to undermine Snowden’s credibility. By the end of the film, I not only support his action and motivations but I believe him to be acting for the common good. His conviction reads true. In one of the final shots of the film showing Snowden at a distance through a window together with his partner, Lindsay, re-united in Russia, the camera visualizes what Didi-Huberman refers to as “time endured, the time suffered by human beings in order to determine their own history.”[ii] Through her forthright camera eye, Laura Poitras asks us as viewers to understand ourselves as another kind of subject, implicated in global events. However far away, she brings them close and personal, turning who into the what, where, how, and why of urgent necessity. 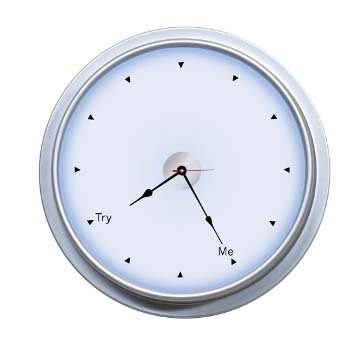 [i] Didi-Huberman, Georges. “How to Open Your Eyes” in Harun Farocki: Against What? Against Whom? ed. by Antje Ehmann and Kodwo Eshun (London: Koenig Books and Raven Row, 2009), 39. [ii] Ibid, 40. Didi-Huberman is re-phrasing a 1974 statement by Harun Farocki.